Recipients get a raise in 2015. Ideas for reform are numerous. 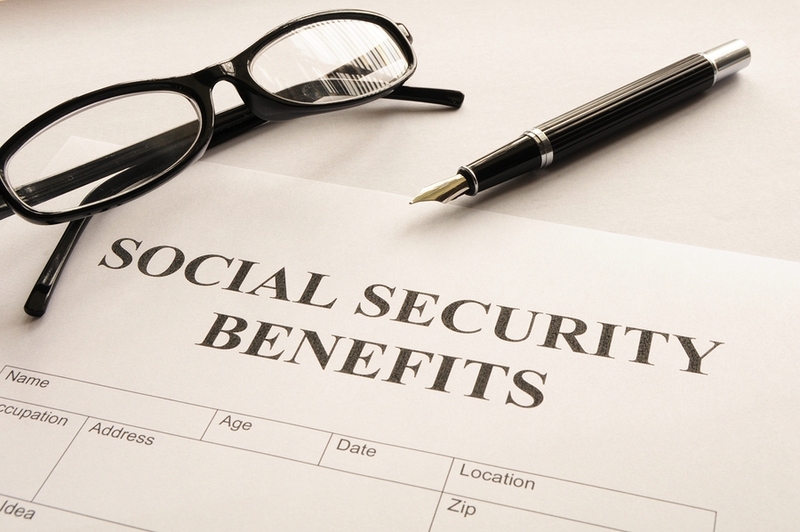 Social Security benefits are increasing 1.7% in 2015. This marks the fourth straight yearly cost-of-living adjustment, following a 1.5% COLA for 2014. Next year, the average monthly Social Security payment for a single retiree increases by $22 to $1,328. The average retired couple will get $2,176 per month in 2015 (a $36 monthly increase). A single retiree claiming benefits at the full retirement age of 66 in 2015 could get a maximum monthly Social Security payment of $2,663. Medicare Part B premiums won’t rise in 2015. They will remain at $104.90 per month for most people. If you’re among the minority of Medicare recipients who buy Part A coverage, you’ll be happy to know that monthly Part A premiums are $19 cheaper in 2015 – they are decreasing to $407. The annual Part B deductible will remain at $147; the Part A deductible will rise from $1,216 to $1,260. Relatively few Social Security recipients have annual modified adjusted gross incomes in excess of $85,000 (single filers) or $170,000 (joint filers). Unfortunately, if your 2013 MAGI exceeded those applicable thresholds, you will pay total Part B monthly premiums of anywhere from $146.90-$335.70 per month during 2015. Social Security’s retirement earnings test amounts have also risen. If you receive Social Security benefits and you will be younger than full retirement age at the end of 2015 (i.e., age 62-65), $1 of your benefits will be withheld for every $2 that you earn above $15,720 (the 2014 limit was $15,480). That $15,720 works out to $1,310 a month. If you receive Social Security benefits and reach full retirement age during 2015 (age 66), then $1 of your benefits will be withheld for every $3 that you earn above $41,880. (That breaks down to $3,490 a month.) Upon turning 66, your Social Security benefits are never reduced because of earned income levels. If you are a single filer with a combined income between $25,000-34,000, you may have to pay federal income tax on up to 50% of your Social Security benefits in 2015. That also goes for joint filers with combined incomes of $32,000-44,000. If you are a single filer with a combined income of more than $34,000, you may have to pay federal income tax on up to 85% of your 2013 Social Security benefits. Likewise for joint filers whose combined incomes top $44,000. Those married and filing separately will “probably” have their benefits taxed in 2015, according to the program’s website. The Social Security wage base is $1,500 higher for 2015. Individual wages up to $118,500 are subject to payroll tax. The Social Security Administration projects that about 10 million workers will see higher taxes in 2015 as a consequence of the change. What about Social Security’s projected long-range shortfall? Social Security projects that it can tap its combined trust funds of roughly $2.8 trillion to pay 100% of scheduled retirement benefits through 2033. Thanks to the aging of the baby boomers, however, it has begun paying out more than it takes in. Social Security’s trustees project annual cash flow deficits averaging $77 billion across 2014-18, which could subsequently increase. How does Social Security fix that? The simple fix many legislators have suggested is to hike the full retirement age. Right now, it is 66; in 2027, it will be adjusted to 67. A 2014 SSA report notes the potential savings that might result from incremental adjustments. If the full retirement age was gradually raised to 68 during the next six years, that would cut 15% from the program’s present deficit. If it gradually raised it to 69 across the next 12 years, Social Security’s long-term shortfall would shrink 35%. The boldest suggestion – swiftly taking the full retirement age north to 70 and denying seniors a chance to claim Social Security until age 64 – would reduce the program’s deficit by 48%. Of course, the social and economic effects of even the less drastic moves could be devastating for many retirees. Another suggestion would be to radically hike the Social Security wage base to expose 90% of earned wages to Social Security taxes; the SSA says that move could reduce the long-range Social Security deficit by 48%. Alternately or in conjunction, the payroll tax could be raised from 12.4%; taking it up to 15.5% could get rid of the long-range shortfall and possibly leave a surplus, the SSA estimates. Or, Social Security COLAs could be linked to price growth instead of average wage growth – that is, to the “chained” CPI rather than the regular Consumer Price Index. In their above-mentioned 2014 report (which contains 120 ideas for reforming the program), Social Security trustees posit that basing COLAs on chained CPI would cut the long-term deficit by 19%. The SSA says COLAs could be 0.3% smaller annually if they were based on the chained CPI, which assumes that consumers buy cheaper versions of certain goods and services in the face of rising prices. Senior advocates would prefer COLAs being linked to the experimental CPI-E, an index the Bureau of Labor Statistics uses to track spending patterns of retirees. The CPI-E tends to rise 0.2% faster than the regular Consumer Price Index. What if some of Social Security’s reserves were invested in equities rather than Treasuries? Some economists contend this could have nightmarish results, others praise the idea. The SSA notes that if 40% of the Social Security trust funds were directed into equities with an average inflation-adjusted return of 6.4% per year – as opposed to special-issue Treasuries with long-term, inflation-adjusted returns of 2.9% a year – Social Security’s long-range funding gap would decrease by 21%. Perhaps a fix lies somewhere within these proposals; unmodified or altered, alone or in combination. How much retirement income do you have these days? With Social Security’s future still surrounded by questions, you may be thinking about where your retirement income will come from in the years ahead. A chat with the financial professional you know and trust may lead to some ideas. This entry was posted in Social Security, Tax Planning and tagged Income taxes, retirement, social security on January 23, 2015 by mk4lahrmer.